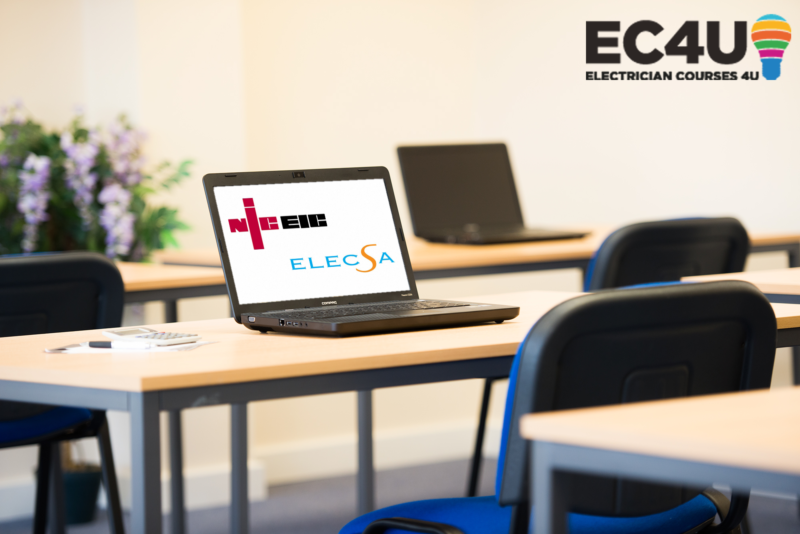 EC4U is thrilled to announce our new partnership with NICEIC & ELECSA to become the first electrical training and assessment centre to offer the Online Knowledge Assessment (OKA) in our centre. The OKA is available to those completing their Domestic Electrician Course or Package with us, and is the first step to becoming a registered electrician with an approved government scheme, NICEIC & ELECSA. The online test will be offered to our customers at our first class centre upon completion of their Electrician Courses or Package, carried out in exam conditions and allows for them to show that they are competent and knowledgeable. This new partnership aims to make it easier for our customers to sit the OKA with us after they’ve completed their electrical courses, without having to worry about doing it in their free time. After passing the OKA, you will receive certificate and then continue to the next stage, which is the on-site assessment, which will be carried out by NICEIC or ELECSA. In the second stage, they require you to show them installation work that you have completed independently. You must demonstrate that you are a competent person who has the skills and knowledge to sign off their own electrical work, taking safety issues into consideration, and that you are able to test and inspect that the work you have done is safe, whilst complying with the current building/wiring regulations. This new and exciting partnership allows us to give our customers another first class service and get them signed up to an approved government scheme to start their career off as an electrician right. Start your training today with the first electrical training centre to offer the OKA assessment in-centre! If you want to find out more about EC4U, take a look at why we were awarded best electrical training centre by Kewtech!